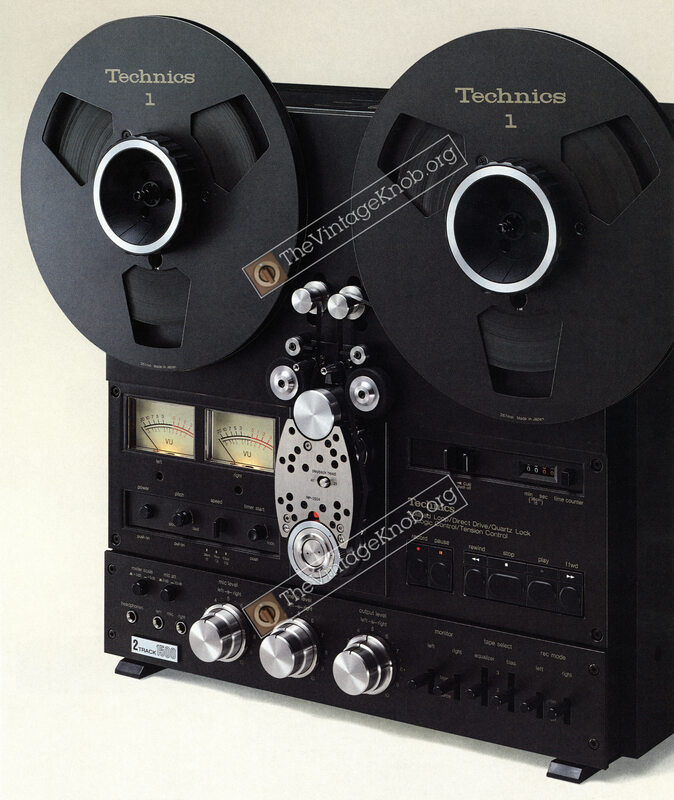 This image comes from a rare and chronologically "in between" Technics european catalog. Like Pioneer or Marantz, that brand never really cared to have its catalogs well printed and they often were plagued with strange screening sizes, cutout masks and over-sharpened images. > absence of vertical/horizontal geometry distortion. This result was achieved with a worthwhile scanner (Epson V750) and, for this particular image, the combination of a 400dpi resolution and 400% size, later reduced to 200% (here downsized to 100% otherwise it's too heavy for a web browser to display). No contrast or color corrections were performed within the scanning software, nor in Photoshop, but I do work in a calibrated environment (scan + displays). The reason for this painstaking quality scanning is that none of the original photographs exist anymore. To name but one brand, Sony, I was told by an ex-employee of the 1970s/1980s marketing services in Japan, that all originals (be they negatives or Ektachromes) were junked by the various printers a couple of weeks after printing. Everything. So all that is left... are the catalogs.